Dr. Simon Started his practice in his home in 1981. From these small beginnings, grew a successful, vibrant practice. Providing excellent care with concern and respect for his patients, was his key to success. The same principles that have guided the practice for over 30 years continue today with a caring staff and warm friendly surroundings. 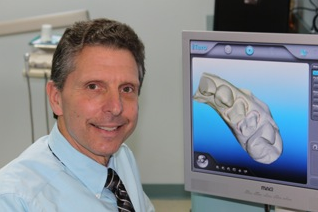 Dr. Simon graduated from Fairleigh Dickinson University School of Dentistry. He had advanced training as a resident at North Shore University Hospital in Manhasset, NY. He also completed post-graduate work at Albert Einstein College of Medicine. Dr. Simon is a member of the American Dental Association, New York State Dental Society and the Nassau County Dental Society. Dr. Simon has been happily married since 1977 to his wife Debbie and has three sons. He calls Oceanside his home where he enjoys being on the water, gardening and playing with his two dogs Bailey and Benji.